A properly prepared Audio CD follows the specifications of the Red Book standard, and is playable on any standard CD player. A standard audio CD can hold 80 minutes of uncompressed digital audio. 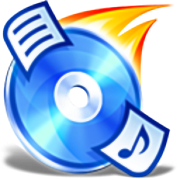 CD-TEXT data can be stored on the CD to provide metadata for tracks. Audio CDs behave much differently than data CDs. For example, audio CDs can not be directly imaged from the /dev/cdrom device in UNIX, and an audio CD can not be stored in a proper ISO file (though other image types like BIN/CUE will work). CDs should always be burnt at the slowest reasonable speed for the best reliability. You can select the option for burning a gapless CD just before starting the burn process. Use ImgBurn to create a BIN/CUE image. Find a tool that supports dao (disk at once) mode for gapless CDs.